View More In Military & Wars. From George Washington crossing the icy Delaware, to Molly Pitcher fearlessly firing her cannon, the people of the American Revolution were some of the bravest and most inspiring of all time. Jump into a riot in the streets of Boston, join the Culper Spy Ring as they steal secrets in the dead of night, and watch the signing of the Declaration of Independence in this accessible, illustrated guide to the birth of the United States. 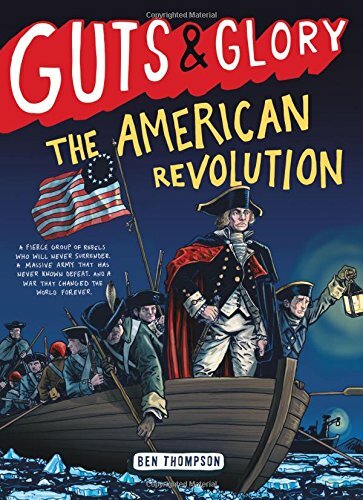 History buff and popular blogger Ben Thompson's extensive research and irresistible storytelling make history come alive in this fourth book in the unforgettable Guts & Glory series.